Show and Tell Meg: WIP Wednesday: So Many Projects! WIP Wednesday: So Many Projects! This week is suddenly full of WIPs. Firstly, my sister needed a gift for a baby shower on her husband's side this coming weekend. She can't attend herself, so she thought one of my animals would be a nice gift to make up for it. Since I had so much going on already this past week (and she only asked me last week), I decided to go with something quick and easy. Isn't she super cute?! I used the Jay, The Bird pattern from FreshStitches and just added baby safe eyes and a flower (as per request). The bird is only part of the gift - a large part, but I still have a little work to do tonight. In exchange for my bird, my sister offered to buy me a pattern book - sounds like a sweet trade to me! 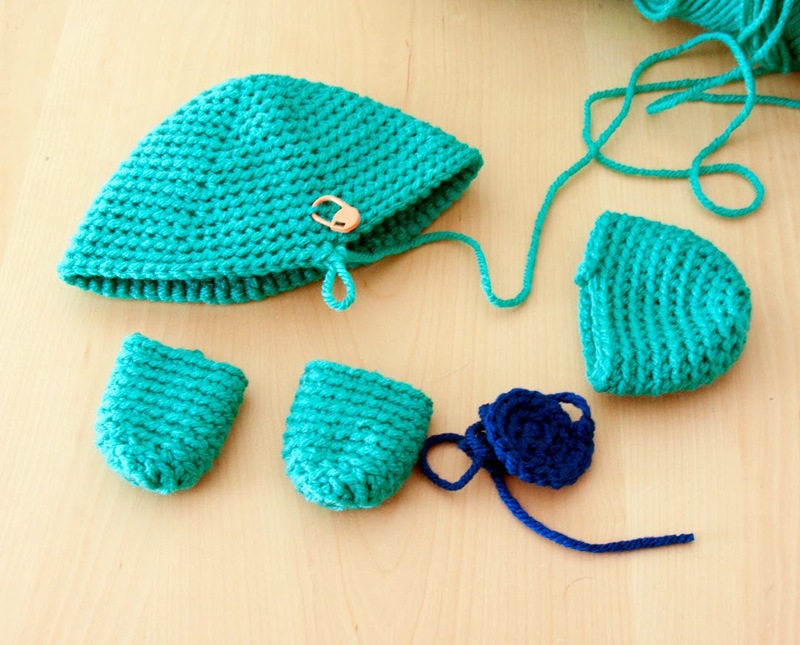 I chose Modern Baby Crochet by Stacey Trock. I've wanted this book ever since it was released and it definitely does not disappoint. I'm using one of the patterns to complete the other piece of my sister's gift - can you guess what it will be? 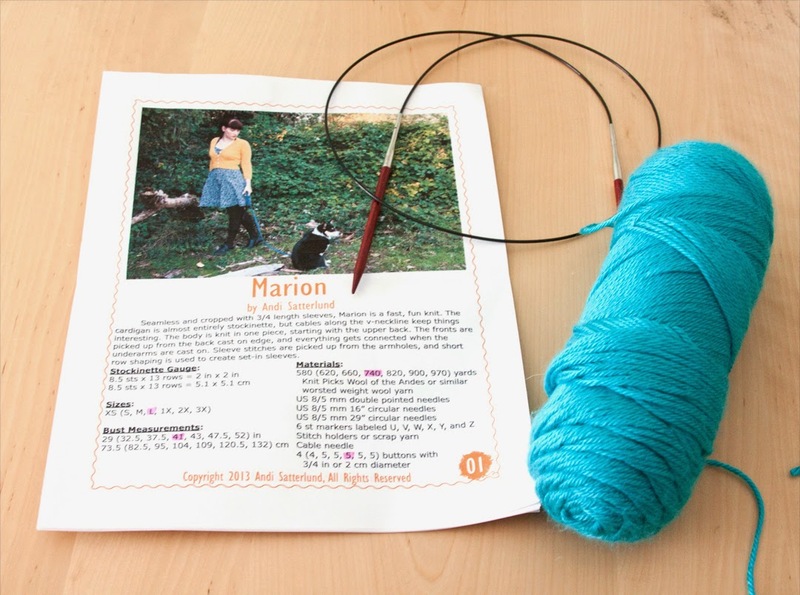 And in case those projects weren't enough to keep me busy, today is the official first day of the Marion Knit Along with Untangling Knots. I've always loved this design so I jumped right in when this KAL was announced. I've had all my pattern corrections and yarn swatches ready and waiting - now I'll finally get to put them to good use :) I will confess, I'm a bit worried about my decision to use a cheap acrylic yarn, but this is for science, folks! I must know how it will turn out! I know I will be the pariah of the KAL group (hopefully they don't think I'm too trashy, lol), but I seriously have so much of this yarn from before I "knew better". Here's hoping it works out ok.
And of course I am still plugging away at my Emelie Cardigan. It's such a lovely design :) I've started increasing for the bust now, and I am actually surprised it is already this big. I was fully expecting this to take forever because of the thin yarn choice, and I am happy to be proven wrong. So there you have it :) I certainly have a lot to work on (plus I really need to start my nephew's birthday present), so I'm hoping for a lot of time this coming week. 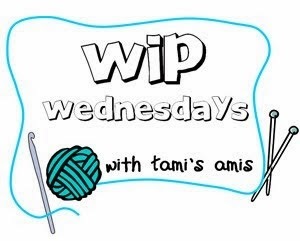 Head over to Tami's Amis' Blog to see what others are working on this week too!